Megan Holt '14. Photos by Claus Peuckert. The former Ford field hocker player is now pursuing graduate education in Denmark, where she was recently the first non-Dane to be voted Female Player of the Year by the Dansk Hockey Union. The passion Megan Holt ’14 has for field hockey has sent her on an incredible journey. It started in her hometown of Bryn Mawr, continued at Haverford—where she was a field hockey team captain—and has taken her all the way across the world to Copenhagen, where she now lives and plays for a club team. After a terrific four-year stint playing for the Fords, Holt graduated with a major in physics, a minor in educational studies, and an undying love for field hockey. So, inspired by the experience she had in a junior-year semester abroad in Denmark, during which she played for the Copenhagen Field Hockey Club, she enrolled in a master’s program in Denmark and rejoined the team. Holt’s love of the game (similar to soccer, but played with a stick and a small, hard plastic ball) and skill as a midfielder (which means she plays both offense and defense) translated into a historic honor: She was voted Female Player of the Year for 2015–16 by the Dansk Hockey Union, the first time a non-Danish player has won the award. Holt spoke with Haverford magazine about how her time abroad made her a better player, what she loves so much about the sport, and how it’s helped her adjust to her new home. Why she stuck with the stick-and-ball sport: In my junior year of high school, I played for a club team and attended the National Hockey Festival, a huge recruiting event in California. That was when I really gained a better perspective of how big field hockey is, how many girls play, and how there were people out there who were really passionate about the sport. That definitely solidified my decision to play in college. I was drawn to it initially because it wasn’t soccer, which most kids played growing up—field hockey was my thing, unique and special to those of us who played. Field hockey as therapy: My absolute favorite thing is the feeling that you get when you nail a shot as hard as you possibly can and it sails straight past the goalie and into the backboard. The satisfying sound of the ball hitting the backboard, combined with the feeling of striking the ball perfectly, has a magical way of releasing any stress or negative feelings that have built up inside of you. Field hockey is my version of therapy, meditation, and recovery all wrapped up in one. The next-to-home field advantage: One of the things I loved so much about [going to college] close to home was that I felt like I always had a fan on the sidelines. My parents could come to almost all my games. I think my dad made it to all but one, including our away games, which is also a great thing about playing in the Centennial Conference. How Europe shaped her game: I knew I wanted to study abroad my junior year, but because I was going to be a captain, I only wanted to go to a place—like Denmark—where I could play field hockey, because I didn’t think it was fair to my team to go somewhere for an entire semester where I wasn’t going to be able to keep practicing and preparing for the next season. Officiating in Denmark is a little bit different, so I would say people here are more aggressive in using their body because fouls aren’t called as much. It wasn’t that I learned to foul and get away with it, but that I could be more aggressive and use my strength. It’s a different style of play and a way of not letting people push you around. It gives you a confidence boost knowing you can take on anything, no matter who comes at you. Returning to Denmark was in the cards: I always wanted to come back to Copenhagen, so I was thrilled to be accepted to the Transport and Logistics Engineering master’s program at the Technical University of Denmark. Playing field hockey is one of the best things about being here. In the U.S., there isn’t a huge opportunity to play after college. That’s so sad, because it becomes a huge part of your life. I can’t imagine my life without it. People here play because they love the sport. The league is really competitive, and there are a lot of skilled players, but it’s also relaxed enough—we practice twice a week—that you remember why you love playing. The transition to living in Denmark has never felt very difficult for me, and I think field hockey is one of the main reasons for that. Being able to continue to play at a high level has created consistency that makes up for a lot of the other big changes that come with moving to a completely new place. And the award goes to … : I actually thought another player on my team was going to win Female Player of the Year, so [at the ceremony], when I heard someone from our club won, of course I thought it was her. It took me a minute to go up and receive the award, because I wasn’t expecting to get that recognition. Our team had been playing really well. 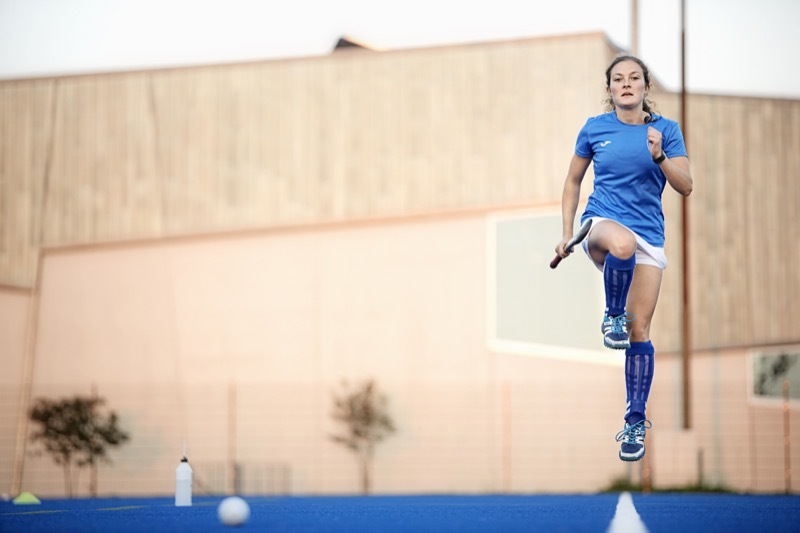 By finishing second in the league during the last outdoor season, Copenhagen Field Hockey Club qualified for the chance to compete in the European Club Outdoor Field Hockey Championships next spring. It’s the first time in many years that [the team] will be going, so we are really excited about that!